Plena is a music performance in the form of storytelling song. Plena is originally a Puerto Rican musical form. To appreciate the full scope and meaning of plena, we must engage in a journey to explore its cultural milieu and history. The aim of this teaching guide is to use the documentary film, Plena is Work, Plena is Song, as a vehicle to pursue such a journey of exploration. 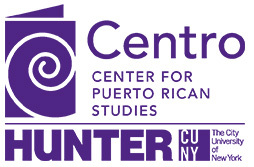 This guide is meant to be primarily for teachers of Puerto Rican history and Social Studies courses from the 9-12 grade level, as well as teachers of introductory freshman courses in Puerto Rican History, sociology and humanities at the university level. 2) How can folk songs be a source of oral history and a way to learn about a people’s history and culture?